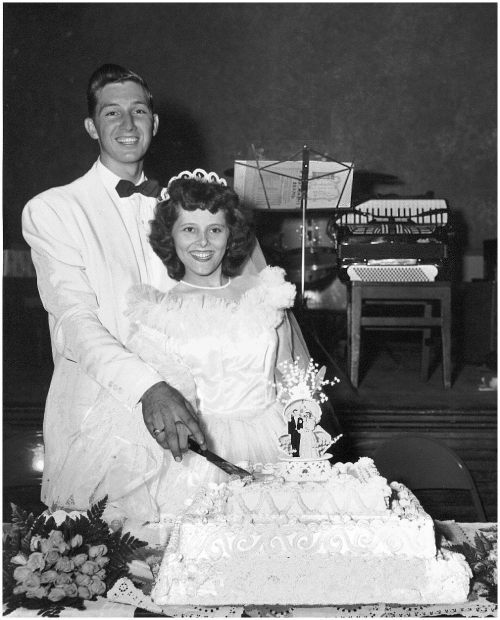 I love this picture of my grandparents on their wedding day. They’re both gone now, and I still miss them terribly. They were a major part of my life growing up, and a major part of the reason I am the way I am today. Well, all the good parts anyway. They’re not responsible for the crazy bits! Yes, I know this is supposed to be Wordless Wednesday, emphasis on the “wordless,” but really, when have you ever known me to shut up completely?